Google has officially confirmed on Twitter that they pushed out a refresh of the Panda update. This one would be labelled version 3.8. It was only a refresh, meaning, Google did not make any algorithm signal updates. All they did was rerun the Panda algorithm to run through the index and release or capture sites that deserve, according to them, to be hit by the Panda algorithm. Now, despite the fluctuations we noticed over the weekend Google said this Panda refresh did not start until yesterday and it did not start over the weekend. 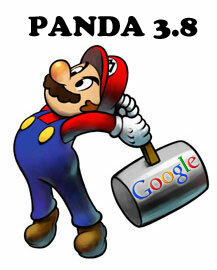 I am also not sure why Google ran a Panda refresh so closely to the last one, which was about 2 weeks ago. Normally Google runs these updates after 4-6 or more weeks.